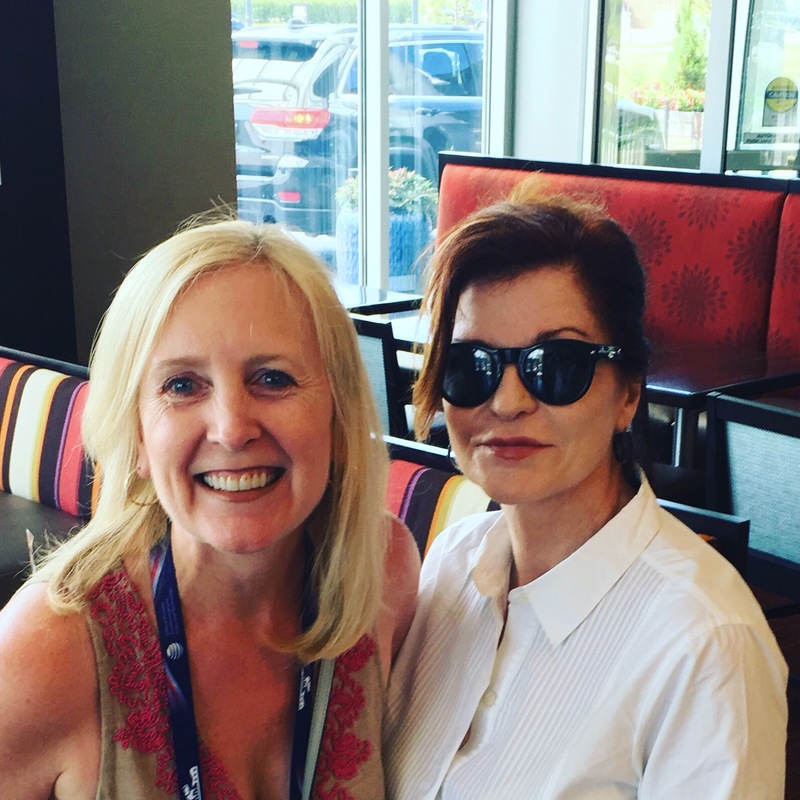 Today I met Maureen Dowd. The Maureen Dowd! Let me just preface this with I have always been a huge fan of her writing style, her keen wit and fresh perspective. She has a gift for the gab and uses words to produce such an interesting commentary which usually always makes me laugh…or cry, depending. Evidently, she is staying at our hotel and was in the lobby grabbing coffee this morning while I was visiting with a few Oklahoma delegates about the chaos at the convention! A nice lady with dark sun glasses sauntered over and complimented my shirt of all things. After exchanging pleasantries, she began to ask my opinion on the convention and the conversation topics she had overheard. I guess I let her have it (my opinion that is), but she also knew in her gut the media portrayal over the last few days was not accurately depicting the mood in the arena and she was gathering thoughts on the topic. So when she asked if she could quote me, I completely and utterly froze up. Mind you, I had no idea who this nice lady was. I mean, she had her hair pulled back and was wearing dark glasses! “The New York Times,” she said. Of course. The New York Times! She was very gracious as I back peddled nervously about a quote. Knowing that, we continued to chat about the various reporting on the convention and she offered me her email in case I wanted to share thoughts on tonight’s festivities from my seat on the sidelines. We continued to chat and knowing she was probably on a deadline, I kindly asked for a quick photo, and boom, there ya go. Never mind I had lipstick on my teeth throughout the entire course of our conversation! Note to self, master the closed lip smile.